Welcome to Happy Guy Concrete! 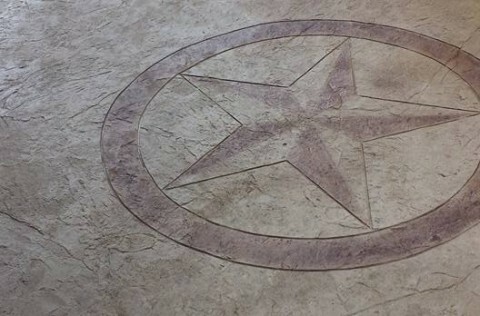 We are experts in all manner of concrete floors and are excited to help you choose the concrete finish that will make your home or business shine. Decorative concrete is a popular flooring option because it's inexpensive, beautiful, environmentally friendly, and unique. 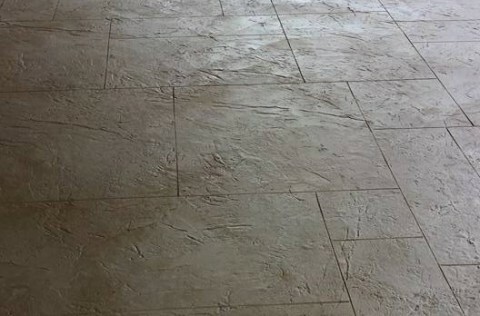 A decorative concrete floor can make your space shine in a way that no other finish can. Our professionals are experienced in turning the poured concrete we’re all used to - the dull, gray material that makes up sidewalks and industrial parks – into a beautiful material using finishing techniques. A concrete patio can look like it's made of slate. In a kitchen, your concrete floor can have all the benefits of tile without the price tag of installing thousands of individual tiles. 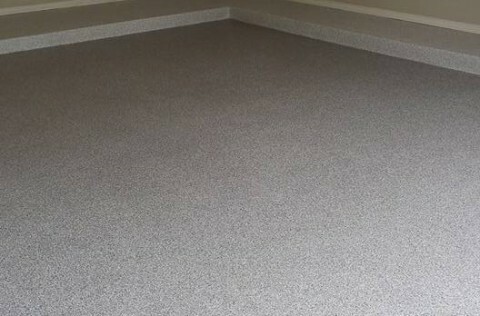 A shiny concrete floor, or a stained concrete floor, can give your business a professional look while cutting down on maintenance time – and the cost of your janitorial team. Happy Guy concrete can help you decide which concrete finish is best for you. After a consultation with us, you’ll have a wide range of concrete finishes to choose from, and an idea of which will work best for your space. 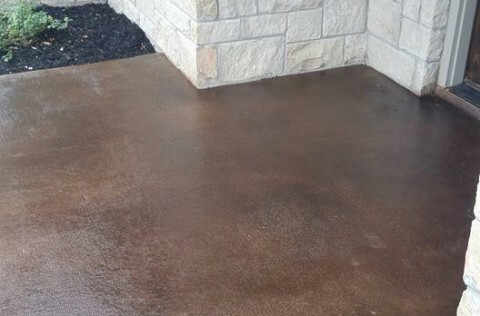 Each of these finishes gives your floor, patio, or driveway a unique look that you will not believe is humble concrete. Your friends, neighbors, and customers will be amazed by your luxurious floors. You’ll be amazed at how much money you can save, allowing you to afford those fancy curtains or appliances that were previously out of reach in your remodel or construction budget. Working with Happy Guy Concrete, you can trust that you have professionals on your side. 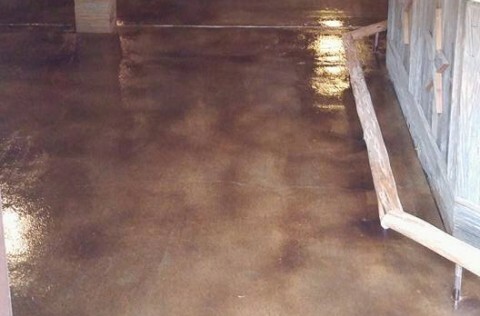 We work with all kinds of concrete, whether it was just installed, or if you are refinishing an old floor. Either way, the final product will be beautiful and durable. Concrete, which is made entirely from recycled materials, is one of the most environmentally friendly choices you can make for your construction flooring project. It does not require cutting down trees like hardwood floors do. It also does not release harmful materials into the atmosphere like many carpet and tile adhesives do. In fact, it reflects heat and light so well that it can even minimize your energy uses – and your energy bill. At Happy Guy concrete, we love concrete, and we love sharing our expertise on this seemingly humble material. 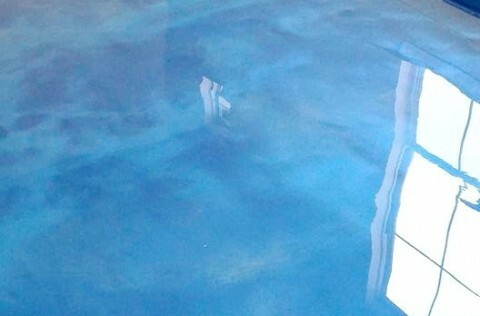 We can create a beautiful floor for you whether you are looking to refinish a tiny back deck or a giant theme park. With the wide variety of finishes available, each room of your home can have a different look, even if it is all made of concrete.We are excited to work with you and your family or business to create the space of your dream. 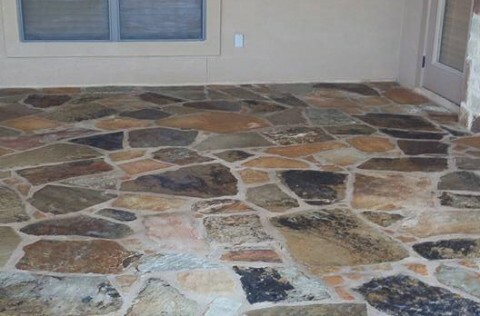 Take a look at our gallery, and reach out to us today for a consultation to learn just how easy installing a decorative concrete floor can be.